Just a month back, I had met father’s oncologist. “The cancer is terminal”, she had said. I asked with a grim face, “So how long more?” A tough question for any doctor to answer. But she answered, diplomatically, “Unlikely months may be weeks.” I had got the message. Father wasn’t really going to make it through. And his first sign of the impending death came sooner than expected. The onset of jaundice in terminal liver cancer marks the beginning of the end. The liver is a vital organ responsible for regulating metabolic activities across our body. And a failure would mean a slow death of all other vital organs. The unregulated count of ammonia in the blood becomes a toxin to the brain. Hepatic coma is what the patient finally gets into. And then his mumbling became clear. He called out, “Mother you have finally come? Where had you been?” An hour or so passed and he called out again, “Shankar, you have come too. And you look so young.” Shankar was my mother’s brother, whom father had always disliked. He had expired a year ago. Upon hearing this last line, I instantly felt a sudden chill. Father was having death bed visions (or known as DBV in short). He was talking to my grand mom and uncle- both of them deceased. 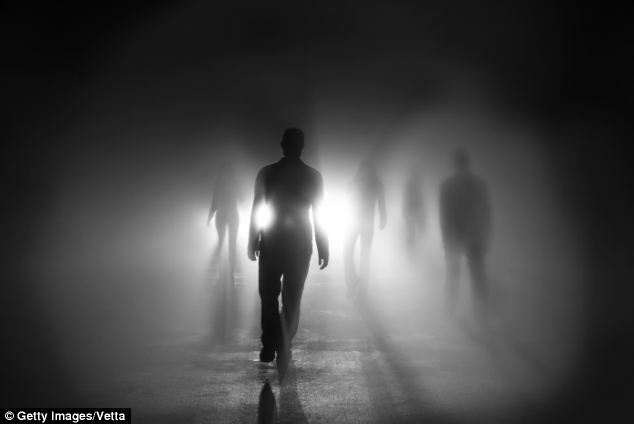 Specific studies on deathbed phenomena have described the visual, auditory, and sensed presences of deceased relatives or angelic beings during the dying process as hallucinations. The hallucinations occur due to cerebral hypoxia. When the body is injured, or if the heart stops, even if only for a short period the brain is deprived of oxygen. A short period of cerebral hypoxia can result in the impairment of neuronal function. I have almost always looked up to science for life’s various questions and mysteries. Yet, for what I have experienced watching my dying Dad, I am still to receive convincing answers. Going with the hallucinations theory, I still have questions unanswered. Why were there only dead people in his hallucinations? If they were a game of the brain, why did he call out to my uncle whom he seldom liked? How come he had clarity in his voice when he called out? He wasn’t coherent otherwise. As I sat by dads bedside in his last few hours, I was greatly comforted in many a way to hear his death bed visions. I felt despite his pain, the sight of family members ready to take him with them, may make his transition, from dying to the world beyond, easier. Probably that’s what I want to believe. Hopefully, as time goes by, science would be able to give us a greater insight into such phenomena. How many extra curricular activities is your child in? Oh so these are DBVs. I often wondered why my mom told me what she told me! I need to recollect now. Take care. Indrani, well we sure cant explain a lot of things. I still cant, but I stand a witness to it. My father recently passed, but we did not expect it. One day, he was sitting in a chair in the living room and looking around with wide eyes. He said to me, “Jim, it’s so beautiful. The colors are spectacular. Isn’t it beautiful?” I was confused, only seeing his living room in front of me, so I said “Yes Dad, you have a lovely home.” He looked at me confused and said, “we live here? When did we move here?” I explained that he had lived there for many years and he became very confused and just nodded. That evening, he was lying in bed with my mother and asked her if she wanted to go outside and sit with him and Peter, his brother who had died 25 years prior. My mother explained that Peter wasn’t outside, and my father was confused, but nodded and kept looking outside at the table by the pool. The next day, my father asked my mother why Peter was there, to which she told him that he wasn’t. Again, he was confused by this. Later, my father had a conversation with his deceased mother. That night, his heart stopped beating in his sleep. I called 911 and gave him CPR until the ambulance arrived, and my father woke up again two days later. He was very confused. He kept asking if he was alive and he told my mother, “I think I died.” Of course, we just comforted him and told him how much we loved him. He asked me if his mother and father were here, and I told him no, and he became confused and began to cry. After that, he became obsessed with going somewhere, and just kept saying to us, “ok, let’s go.” and “I’m ready to go now.” We could not determine where he wanted to go, but he slipped into a coma and passed away a couple months later. It was a very difficult time for us. My father was dearly loved. I had never heard of death bed visions, but I was telling my aunt about his visions, and she told me that they were very common and called deathbed visions. So I started researching deathbed visions and I was astounded by how similar my father’s experience was to so many other dying people. I started to believe that the visions were real and I really wanted to believe they were, but for some reason I kept trying to find reasons to dismiss them as metaphysical byproducts of the dying process and so on, but I could not, no matter how hard I tried! Why do so many people have such similar experiences if it’s simply misfiring neurons? And how did he know he had died when he woke up? I wish I had asked him, but it was more important to me to comfort him and make him feel loved the best I knew how at the time, so I didn’t. I’ve thought about every possible reason I can think of exhaustively and to me, the only thing that makes sense is that he saw Heaven in his living room that day, and that he decided that he was ready to go with his brother and his parents because this life had become untenable. Sometimes I still think that is just what I need to believe, but regardless, it’s still the only thing that makes sense to me. I enjoyed reading about your experience. Thank you. These deathbed phenomena are far more common than most people realize. I am currently working on my latest book, “Deathbed Visits” and would love to talk to you about your experience. If interested, please email me at josievarga@comcast.net. Or you may contact me through my website: http://www.josievarga.com. Again, thank you very much. Not a prob,, send me a mail on meotherwise.blog@gmail.com and would be glad to share my thoughts.. This reminds of my grandfather. Just before he passed away, he would frequently refer to her and would keep saying that he wanted to meet her. She died when he was just a few months old, so he never really “knew” her. He wasn’t entirely coherent at the time but I remember these incidents so well. Was he really speaking to his mother/seeing her? I don’t know… but like you, I agree that it is comforting to think that he moved on with the help of loved ones. I meant that he would frequently seem to be talking to his mother. Wow, really amazing story. 1. It’s special that you were able to share that moment. 2. It opened up one of life’s great mysteries to questioning. I wish science had a greater explanation, too! Yes Jen.. It has taken me almost 6 months to even get to writing it… Thanks for dropping in . Cheers!!! Fascinating subject. We don’t know the answer of what happens at the time of and after death. Nobody’s been able to come back and give definite proof. I want to believe that our loved ones are waiting. My husband will be experiencing this phenomenon soon, and I long for him to receive comfort from his family. Thats sad.. May God give you the strength in the difficult time.